Kosa, PM2.5 and cedar pollen! 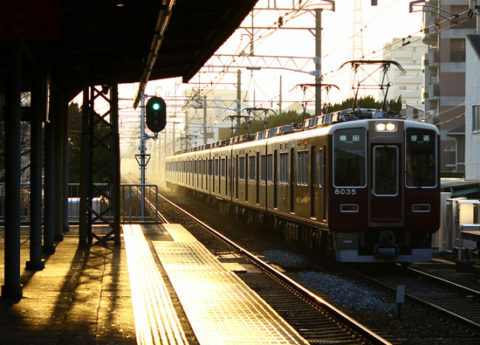 JR lines are very convenient since they are discriminative by their body colors, but I think the design of Hankyu lines is champion among the trains I’ve ever rid by its simple reddish-brown colored body at aｌｌ lines even they are bit hard sometimes to distinguish. This might be a very good example that how the design can be sophisticated with limiting colors and materials. The choice of things in the world is increasing day by day along to satisfy the people’s want. Sometime we call it “wealth”, but this might be an obstacles sometimes for the better world in terms of design harmony. I always thinking about it when I look at this Hankyu railway. Photo: Hankyu railway Kobe line at Mukonoso station.